Need Funding to Study in the United States? Play a Sport! Looking for funding for your study in the United States? Not sure about the application process? Join our workshop! Scholarships for athletes represent a unique opportunity for Czechs to study at an American university – and hundreds of Czechs are taking advantage of this opportunity. Come and find out how it works, what to do when you want to apply for such a scholarship, and who is the right person to help you with your application. 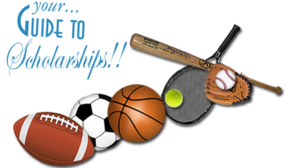 You are invited to a free workshop during which you will have the opportunity to chat with representatives of agencies who can help you navigate athletic scholarships. You will have a chance to meet representatives of Fulbright Commission and Sport&University. Seating is limited, so please, register in advance through American Center’s website. The program will be in Czech. Admission is free, but RSVP is required. Please register on the American Center’s website.